Your wedding is one of the most important days of your life. And you naturally want to spend some time in making it as beautiful and memorable as possible. You mustn't forget the little, less-glamorous parts of planning a wedding either! In fact, it's the dull, practical details that are often the most important part of any wedding. Without them, your wedding would be like a wedding cake with lots of icing but no cake! Contrary to popular opinion, the most important part of a wedding isn't the wedding dress- it's the marriage license. Without a license, your wedding wouldn't be legal. The very first thing that you need to do is head over to your county clerk office to find out how to get your marriage license. Next, you must think about the money factor. A great way to create a wedding disaster is to buy everything without following a proper budget. Sit down with your partner and come to an agreement about how much you're going to spend and what you're going to spend it on. Don't forget to give yourself some elbow room for unexpected expenses. Now that the expense bit has been tackled with, you need to deal with the time factor. Many weddings fall flat because there's no time management involved at all. Buy yourself a separate calendar just for the wedding. Mark out everything that needs to be done and post reminders a few weeks in advance. 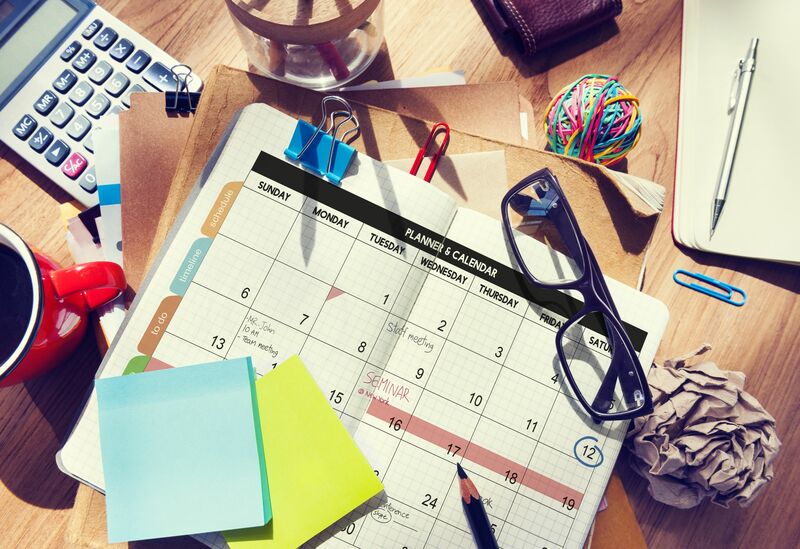 Place this calendar in a spot where you'll always see it- in that way, you'll keep your planning on schedule and won't miss out on the small things either. It's important to know where you are going to get married. If you're planning on a church wedding or want to hold it in a hall, remember that you'll have to book the venue in advance. If you're planning on an outdoor wedding, don't forget to factor in the weather. If it does unexpectedly rain on your big day, make sure that you have an alternate venue that you can quickly shift to. Last but definitely not least, don't forget about the rings. It's important to remember that the perfect set of rings doesn't have to cost you the earth. Think a little out of the box for something that perfectly complements your union- for example, there might be heirloom rings in your family that you could resize and use. Yes, it's true that when it comes to a wedding, the big things like the wedding dress, wedding plans, wedding cake, invitations, caterers and flowers are certainly important. But the little, behind-the-scenes things are important too. In fact, they are often what keep the show running! Thus, make sure that you have an eye on the practical things too while planning your wedding.